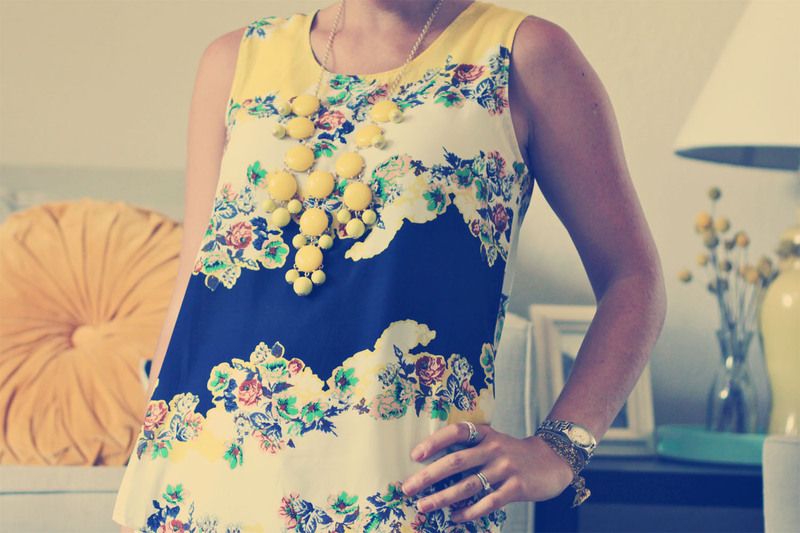 I'm not certain there will ever be a time that I don't swoon over the perfect floral print. Dudes can wear polka dots and stripes, but there is something about a floral print that is pretty much uniquely ours, as gals. Sure, the fancy pants over-the-top button downs in the Nordstrom men's section are floral, but let's admit it...we rock the floral prints better. Amen? Amen. ROMWE is such a fun online store that sells great statement pieces for your wardrobe. Free shipping also tops it off nicely. This top has only been in my hands for a week, but I've already worn it three times! I LOVE it. I'm not sure it's available any longer ((that baby sold out fast!)) 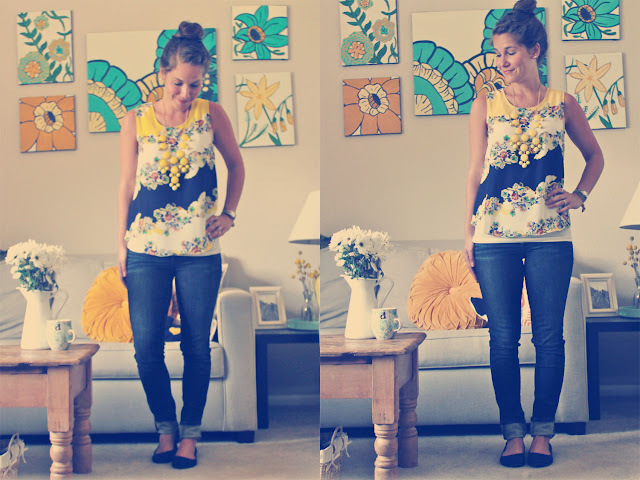 but this navy floral blouse is my favorite piece of theirs at the moment...if you're set on yellow floral, THIS blouse is perfect for Fall layering. You can receive 20% off your first order by clicking the ad to the right. You're welcome! :) I'm here to please. You're getting free stuff from Anthro now? Dang girl! That top is lovely & I love th necklace with it. Looks like it's become a staple! 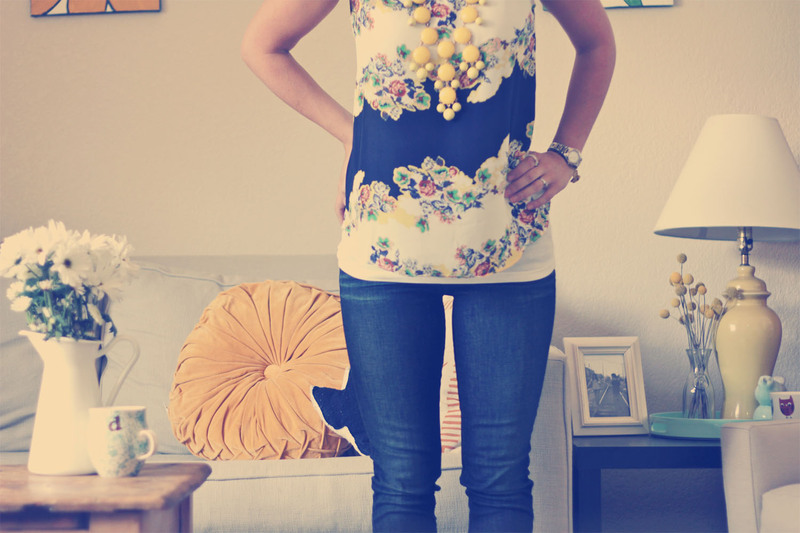 In love with the top and necklace, so cute! 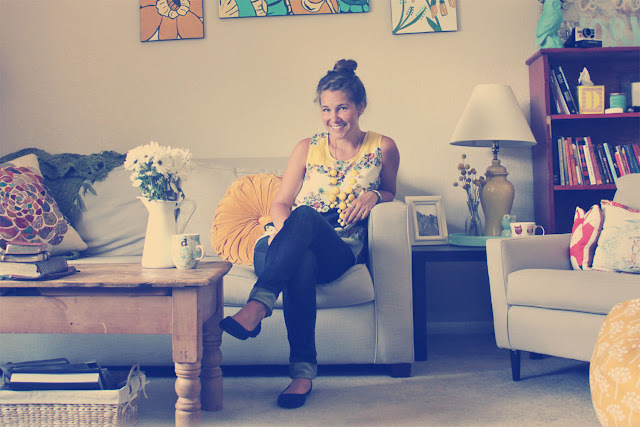 PS: I LOVE those paintings hanging behind your couch! super cute top! You have such a sweet smile! Umm, yes that blouse is AMAZing. I totally agree on the floral too, I am a sucker. really love this top & the way you styled it! Love the top and it looks great with the necklace. I'll have to check out their shop! 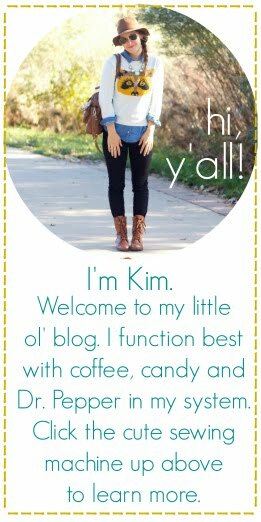 i found you on from whispering sweet nothings bloggy map! i just moved to denver from nashville, so glad i found your blog!